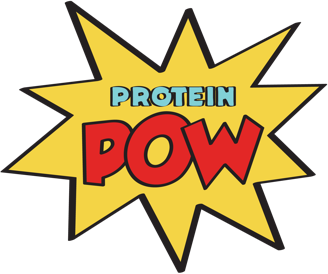 This is a Protein Pow classic so I’m posting it in both English and Spanish. I’m playing around with the idea of posting bilingually every once in a while because I have a bunch of readers in Spain and Latin America who told me they’d benefit from this so I thought to give this a go. Let me know what you think here. 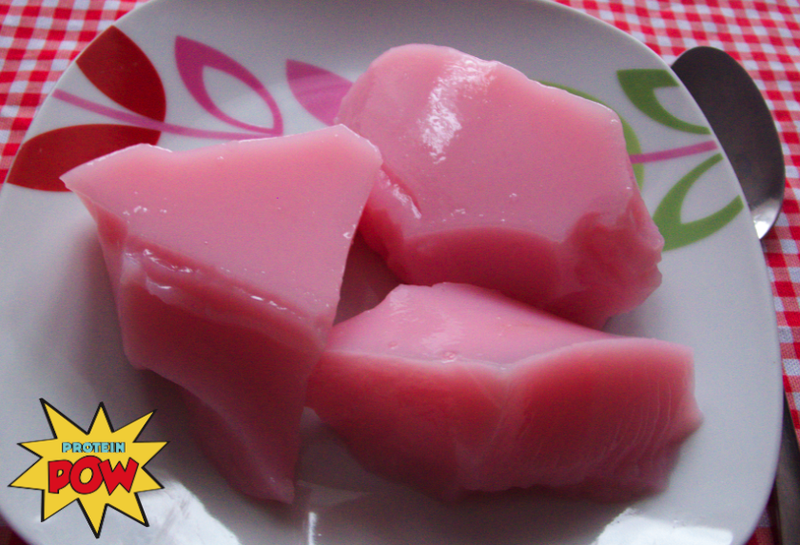 OK. Now, let’s talk about protein jelly. I’m not a huge fan of fruity whey protein powders BUT when it comes to making protein jelly/o, I love them. I’ve made this with blackcurrant whey, with raspberry whey and with strawberry cream whey and every time nomm nomm derommm :-D Who would have thought fruity wheys could yield such joys? 1. Boil the water and dissolve your gelatin in it. Un bowl grande:199.2kcals, 5.5g carbohydratos, 31g proteína, 5.9g grasa y 0.3g fibra!